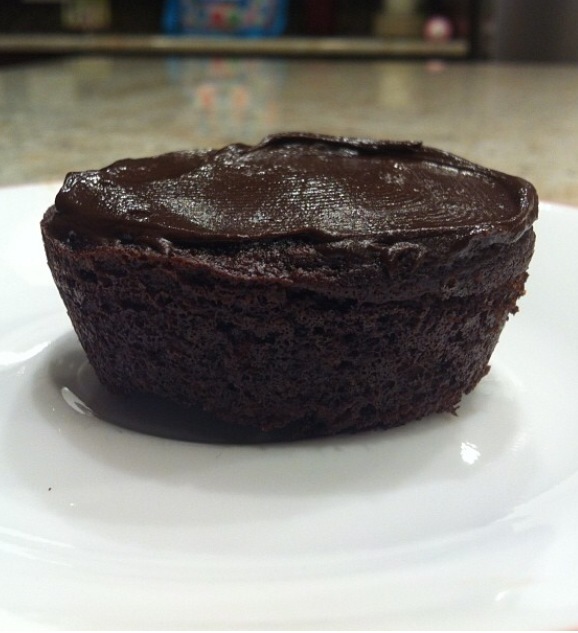 Paleo / grain free / gluten free goodness… and chocolate!! Let’s talk about cake. I’ve never been a fan of chocolate cake. I know, who am I?! It just doesn’t do it for me. Chocolate? Yes please. Brownies? Heck yes. Chocolate cake? Meh. But these cupcakes have converted me! The best part? They’re grain free, naturally sweetened, and full of good, healthy fats! Plus chocolate! Winning combo in my opinion! 1. In a large bowl, mix together dry ingredients. 2. Combine wet ingredients, then add the dry mixture, and mix until incorporated. 4. Spoon batter into lined muffin tins, to about 2/3 full. 5. Bake for 20 minutes, until toothpick comes out clean. 6. For ganache, melt dark chocolate and slowly add coconut milk, being careful not to seize the chocolate. 7. Spread ganache over cooled cupcakes, and enjoy!